AWFUL weather in London today, so I opted for my trusty Ludwig Reiter boots. They’re suede but protected with Clarks spray so will brush up fine with a suede brush (they’re currently soaked) and have a Goodyear sole, so don’t slip on the cobbles at Somerset House. 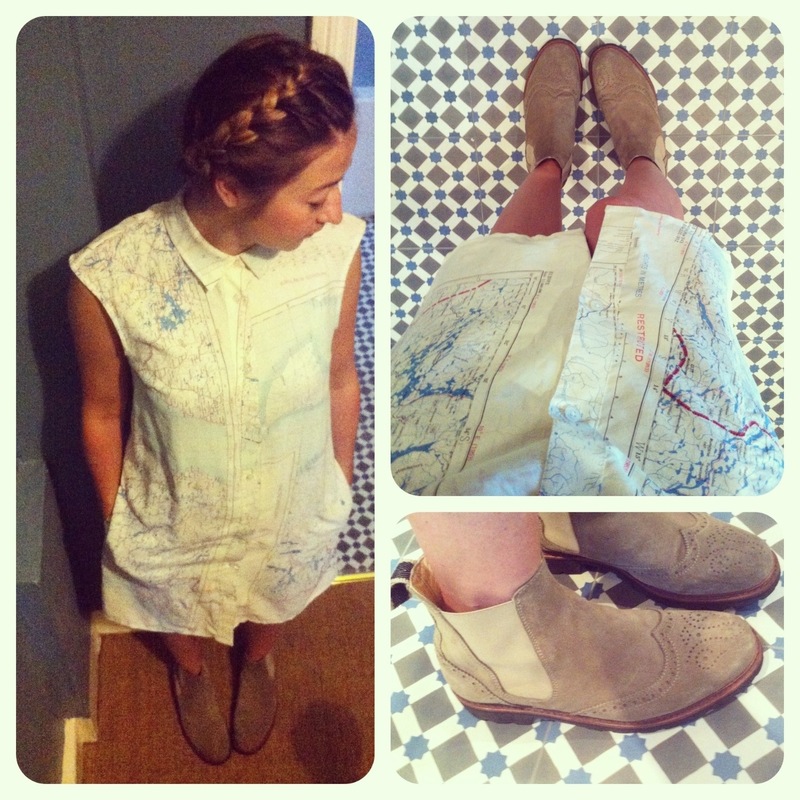 I’m wearing them with one of my favourite dresses; it’s made by Christopher Raeburn (whose show was today) from vintage silk maps. 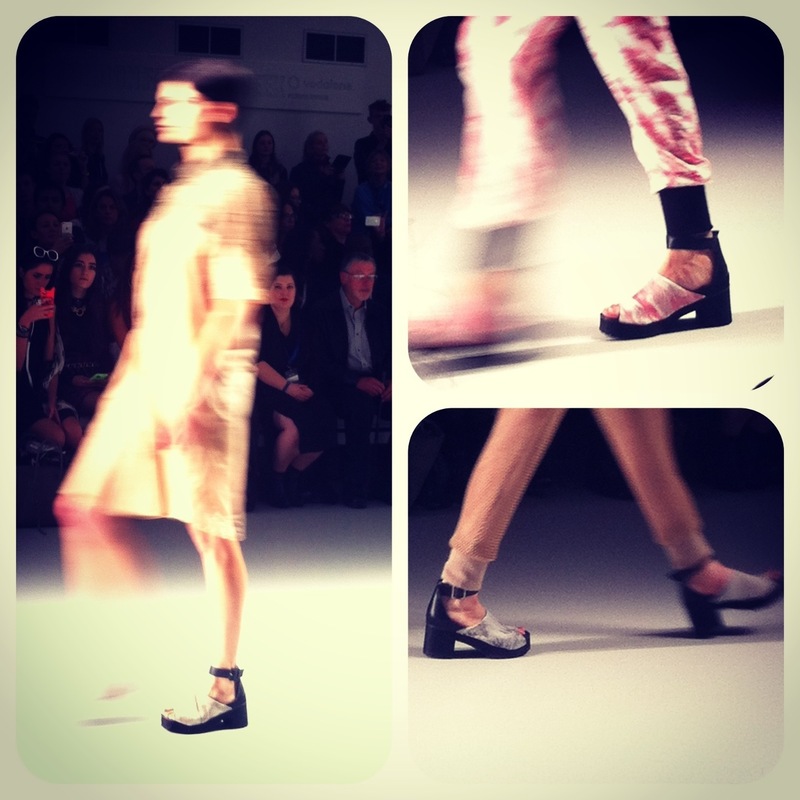 I also spotted some (virtually) flat shoes on the catwalk at Bora Aksu (above) and Christopher Raeburn (below). This heel is almost small enough to get the En Brogue approval! 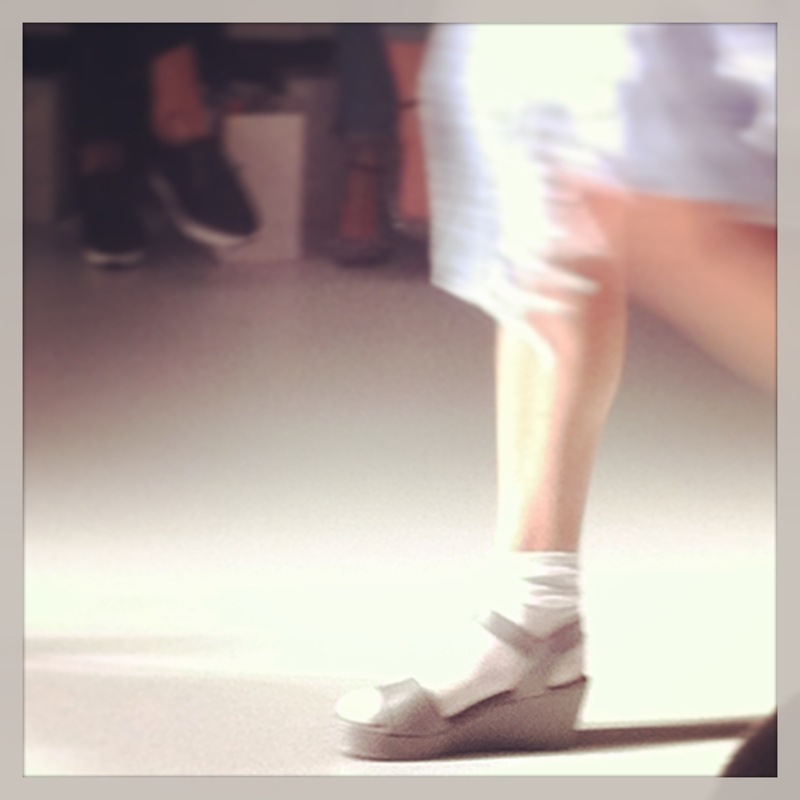 My favourite catwalk shoes of the day were at Todd Lynn (it was too dark to get a decent picture, sadly) and J JS Lee (below), whose shoes I look forward to every season. 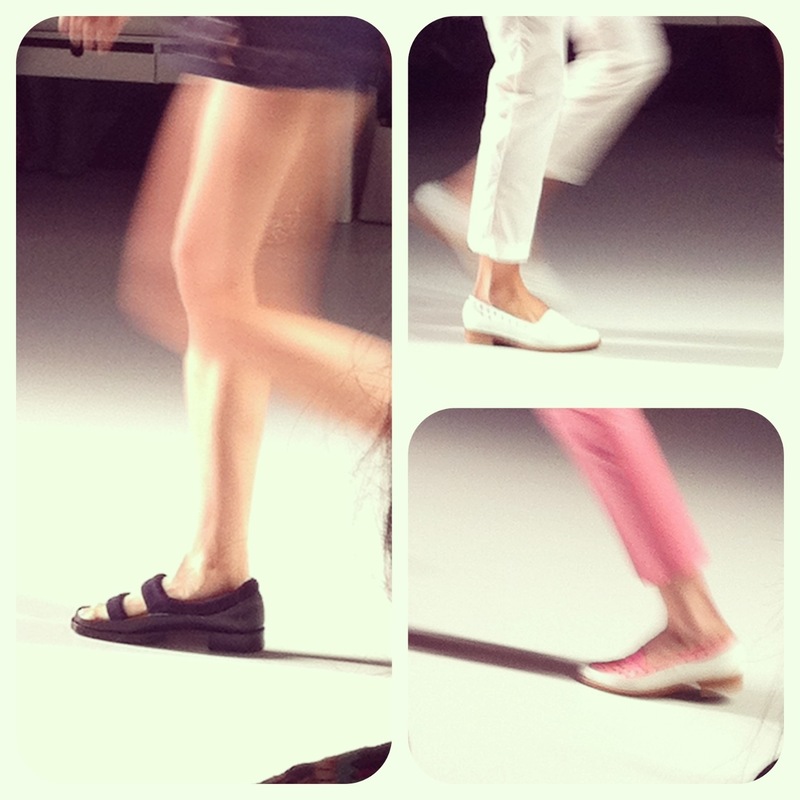 More London fashion week flats to come tomorrow!